Gazpacho is a beautiful Summer soup, traditionally made up of fresh ingredients like tomatoes, peppers and cucumber and served ice-cold. It is usually associated with Spanish cuisine and consumed during the Summer months as a refreshing meal, but it also makes an elegant starter or even a canapé when served in shot glasses. 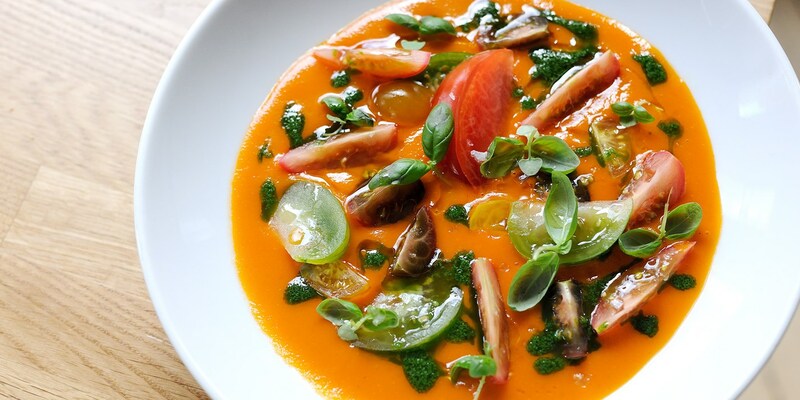 Try Morgan Meunier's chilled gazpacho, Matthew Tomkinson's cucumber and horseradish gazpacho and cherry tomato gazpacho from Tom Aikens.